You are not necessarily born in the place where your soul has already traveled. Listening to the music of Glen Helgeson proves this point well. 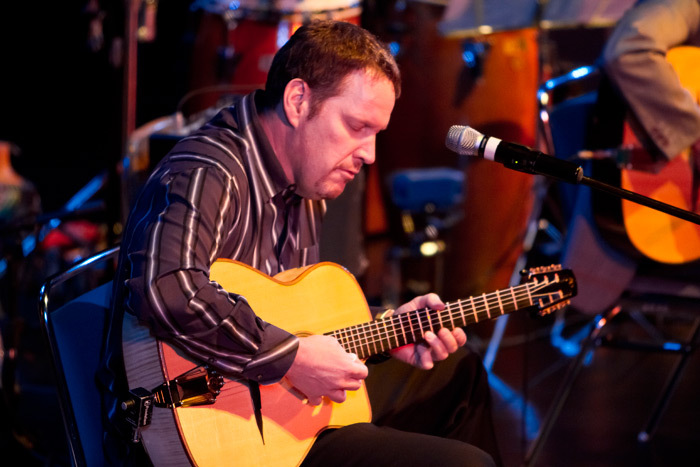 Influenced by his journeys and performances in more than 25 countries throughout South America, Europe and Africa, Glen fuses instruments and world musical styles with his own guitar compositions. Composing and performing for nearly three decades, Glen has established himself jointly in both world music and in the field of music therapy. 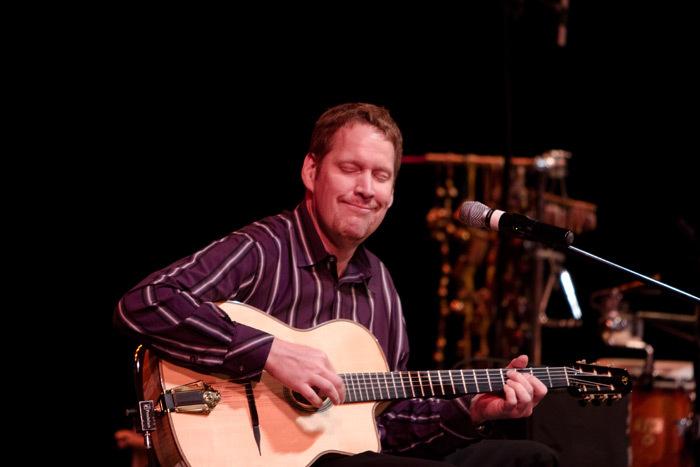 Helgeson currently performs with his world-beat jazz group, Axis Mundi; the acoustic jazz trio, Trio Mundo; and the gypsy jazz group, Gypsy Mania. 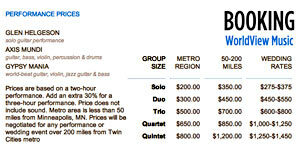 In addition to being a performer, he has combined sales of over 50,000 CD’s. Born by banks of the Mississippi in St. Cloud, Minnesota, Glen’s exposure to the kind of music that would influence his life started strangely enough in the sixth grade while attending a jazz fusion concert by John McLaughlin and the Mahavishnu Orchestra. Young Glen was duly moved by this spiritual and dynamic music - the impression of which remained a dormant seed in Glen until years later. In high school, Glen heard John McLaughlin again performing with his then East - Indian group, Shakti. This time Glen was fortunate enough to meet the artist after the show. Hearing McLaughlin’s music, shaking his hand and having the opportunity for a brief chat was another pivotal experience for Glen, germinating the seed for future world music explorations. It was also while in high school that a chance audition with Up With People would further define Helgeson’s musical life. Working first as their guitar sub, the full position became his and resulted in Glen’s touring in places this Midwestern kid never thought possible - Venezuela, Costa Rica, Mexico and Panama. He eagerly absorbed the new cultures around him and returned the next year to attend college with a decision to major in International Relations. Five years later, Glen applied to grad school for an advanced degree in International Management and was accepted in 1988. Once again, it was a concert that influenced Glen’s direction; the night before he was to give the college his decision Glen was exposed to the music of Pat Metheny. It was at that point that Helgeson knew he would dedicate his life and talents to music. Two years later, and between various jobs to support himself, Helgeson produced his first album on cassette, Zero Gravity. He took a chance in sending it to Cities 97, a local commercial adult alternative station where, to his surprise, it received major airplay. 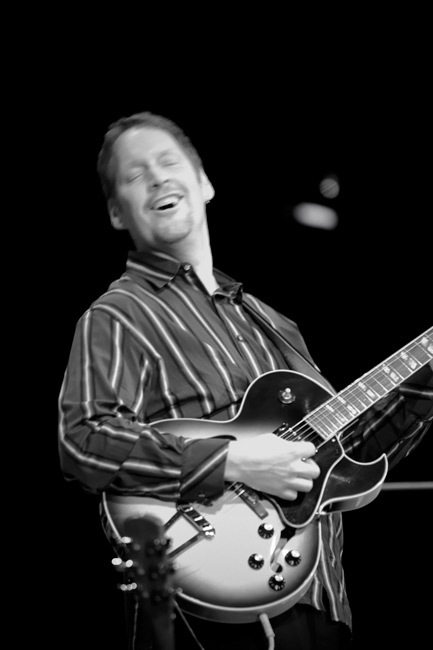 This spurred Glen to refine his arrangements, re-record, and release Zero Gravity on to CD, which he re-titled Rising Current. 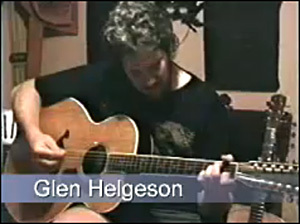 In 1992 Glen obtained a licensing deal with World Disc, a world music and new age label, and produced Distant Borders. 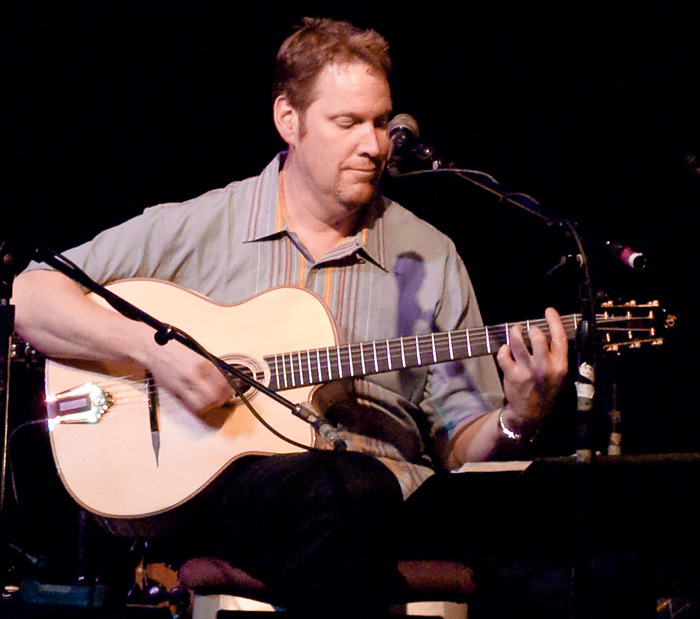 Performing steadily over the next four years, Glen was later signed by NorthWord Inspired Artists and released his third CD, Spirit of the Wood (1996). 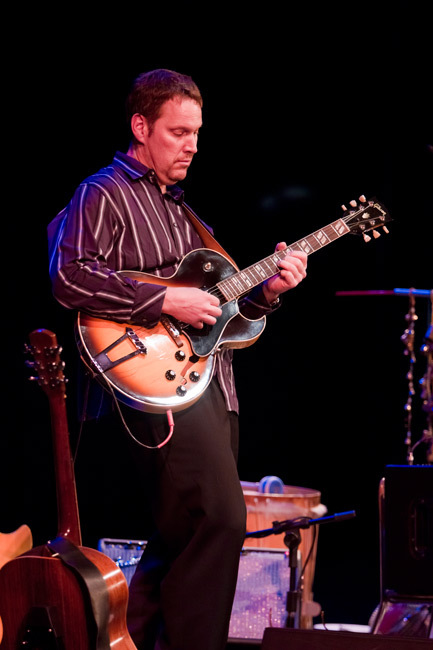 Since 2000, Helgeson recorded five other projects, Gypsy Mania ( 2009), Distant Borders Revisited (2006), Cool Drink of Water (2000), Ode to Ober (2002), and recently his guitar work was featured on a poetry and music CD entitled Riding The Dark Wind (2004). In addition, several of his music compositions were chosen as theme music for a Public TV series and another piece was used on Entertainment Tonight. 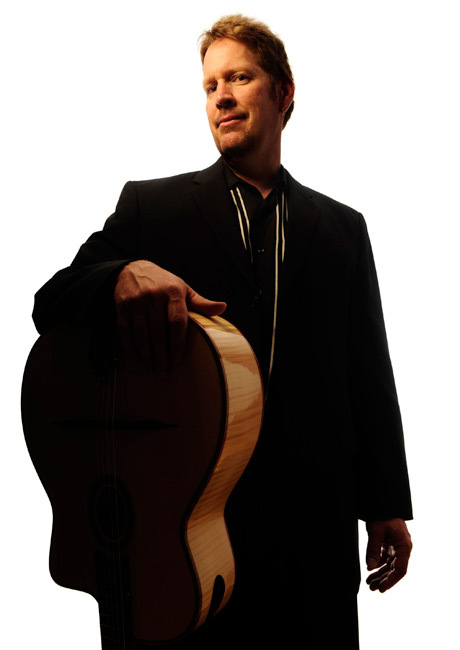 His professional recognitions include: Artist in Residence at the Oberholtzer Foundation in International Falls, Minnesota; A Minnesota Music Award for "Best Instrumental, Experimental, Environmental" album for Spirit of the Wood; A Minneapolis Walker Art Center commissioned grant for the Sculpture Garden; and the Jazz Composer Grant from the West Bank School of Music. In 1999 Glen received his M. Ed. in Music Therapy and in 2003, his certification in Neurologic Music Therapy. Today he practices music therapy with special education children in the public schools and continues to perform and record in the twin cities metro area. Coming Soon. Please visit again.